What Did I Miss In The Last Couple Of Weeks? Rotherham United, like the rest of the teams in the top two tiers of English football, have no game this weekend due to the International break. I had my two weeks ‘international break’ over the last two weeks and after following the Millers up hill, down dale, going to the depths of the country to cold mid-week games wouldn’t you just know that they’d get that first win since April 2018 last week. Luckily, and I know we blame Sky Sports for a lot of things, I was able to follow the game with Jeff Stelling even though I was a few thousand miles away – and I think all the people on my corridor could hear me whooping and singing about Semi Ajayi! I couldn’t do the same with the game at Bramall Lane as I was travelling but got the update when I landed thanks to friends and family and texts. Letting a goal in during the first five minutes and then your captain getting sent off for, what Paul Warne described as a ‘competitive tackle’ I think a lot of Millers fans would have feared the worst. Losing Will meant we’d lost our most likely way of getting back into the game via his long throws and although Marek Rodak did his best he couldn’t keep out a Mark Duffy strike to give the Blades a two-nil win. On one hand we didn’t score and I fear it could come down to goal difference at the end of the season but, on the other hand, Chris Wilder’s Sheffield United side have a very good chance of being in the Premier League next season so two-nil doesn’t seem so bad. Norwich City were last weeks visitors to the New York Season another team who are currently top of the league and would only have themselves to blame if they don’t go up into the ‘promised land’ in May. The Millers kept them out until the final minute of the first-half but minutes into the second half there was our ‘new’ striker Semi Ajayi to send me whooping round my room again! Bouncing between the room and the balcony I was saying to my other half, ‘we can do this, we can get something from this game’ but just five minutes later those Canaries stopped me singing as they went back into the lead and I was back to pacing instead of bouncing. So, I come back to Rotherham with the Millers still in twenty-second place but three points better off. Although, have we been handed a bit of a lifeline with Birmingham City being deducted nine points and dropping into the mix of those above us who could slip up? In my mind, when I saw this story break, I did ponder on the fact that if they gave every team a points deduction for going against the financial rules, we could actually be half-way up the table but that thought didn’t really last long. The question I think a lot of us football fans are asking is should the EFL have actually looked back at other teams who have had points deducted for breaching profitability and sustainability rules in the past, manned up and given them a bigger points deduction? I’ve also come back to see that Will Vaulks has got his first cap for Wales – playing the whole ninety minutes in their win over Trinidad and Tobago in a friendly at Wrexham. Well done Will! The Millers travel to Derby next weekend to take on Frank Lampard’s Rams who are currently eighth in the table. 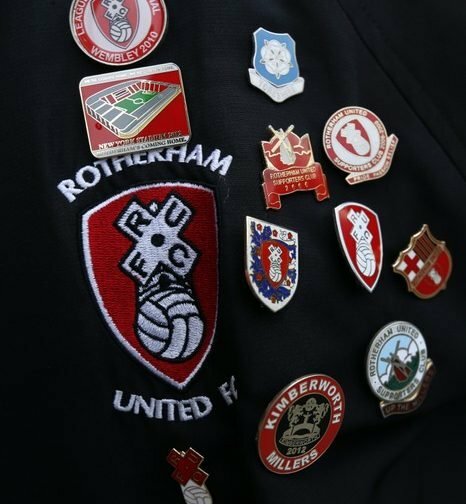 It won’t be easy, but there are no easy games for Rotherham United in this league.